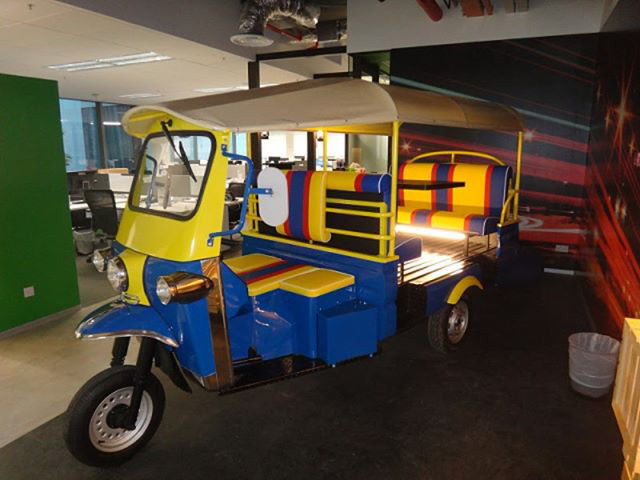 Last year we showed a picture of a Google branded rickshaw or pedicab in the Google Bangkok office. Google has a similar larger one in the Google Singapore that seats more Googlers. This was shared on Instagram the other day.